Philippine police arrest 58 Filipinos for ‘sextortion’ activities - Balita Boss! At least 58 Filipino individuals were arrested by Philippine National Police (PNP) for their roles in an online blackmail syndicate or in a webcam “sextortion” ring. The PNP Anti-Cybercrime Group (ACG) backed by Interpol, in cooperation agencies like US Homeland Security, made joint operations to raid several computer hubs in Bicol Region, Laguna Province, Bulacan Province and Taguig City. Also, the authorities seized more than 260 computers, mobiles phones and pornographic materials. These evidences “will be analyzed by the forensic team of the PNP-ACG with the help of experts from other countries,” said Senior Supt. Gilbert Sosa of the PNP-ACG. "The modus operandi of this group is to create an online account on social networking sites with the purpose of locating and attracting prospective clients, especially old male individuals abroad," PNP chief Alan Purisima said. "Whilst they created this account they would pose as Asian attractive females." In a recent report from Inquirer, the suicide of 17-year-old British mechanic Daniel Perry in July last year led police to an international cybercrime syndicate based in the Philippines, and the eventual arrest of 58 people allegedly involved in “sextortion,” the Philippine National Police said. The teenager had killed himself after being blackmailed by the ‘sextortion’ syndicate, according to the report. "The Police Scotland investigators conducted a digital forensic examination of Perry’s computers and found that he had been a victim of extortionists," said Senior Supt. Gilbert Sosa. 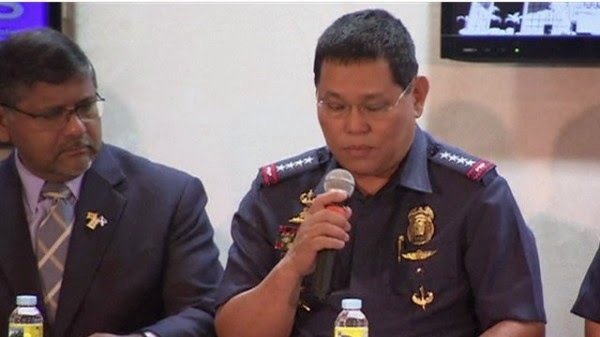 Aside from PNP, Interpool, US Department of Homeland Secutiry, Police authorities of the United Kingdom, Scotland, Hongkong and Singapore aided in the investigation, dubbed as “STRIKEBACK” (Campaign Against the Prevalence of Sextortion Activities in the Philippines).